Based in Zschorna near Dresden, the staff have enjoyed an excellent working environment here since 2001. 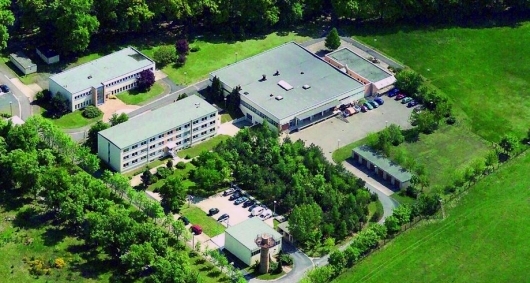 Our premises are located on the spacious territory of a former manor farm and one-time children’s holiday camp with convenient traffic connections to the Dresden-Berlin autobahn. The company is located in a beautiful setting between woods and lakes, dominated by the moated Zschorna Castle and its Zschorna Park, together with the “Zschornaer Teiche” nature reserve. Here you can find more information about the castle and park.